Another Sunday, another Rachael Ray meal. Tonight I made one that I haven’t made in about two years, vegetarian sloppy joes! 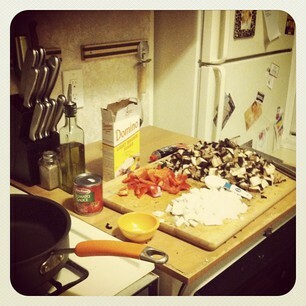 The meat in the Joe is replaced with portabella mushrooms and red bell peppers. They make a great meat substitute. The mushrooms are hearty but not too heavy and greasy. As a recipe, this one had very little prep work. Just some chopping, only the table spoon for measuring, and a tiny bit of mixing. The sauce was a bit sweet, but tangy with the Worcestershire sauce. A quick, easy vegetarian alternative to the usual burger. 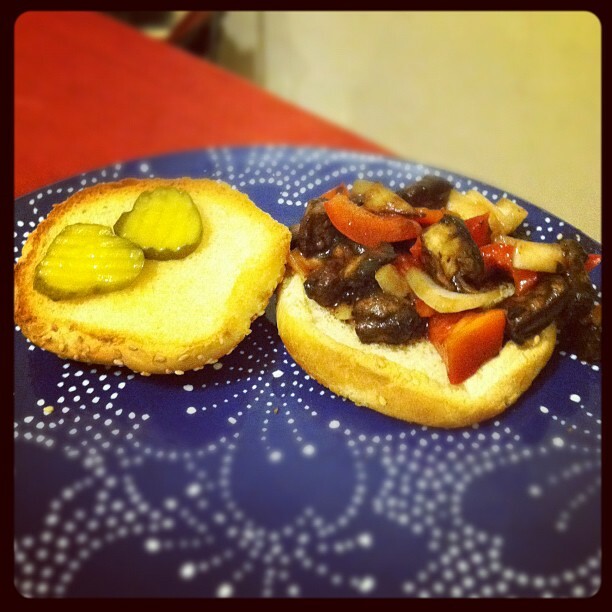 Just add the sloppy joe veggies and sauce to a toasted hamburger bun with pickles.